We live with a spirit of generosity. Every person is blessed with their own set of gifts. Our goal is to use our gifts to touch the lives of others and build a thriving community through volunteerism, altruism, and community involvement. The kids in Jodi Adams’ 5th grade class at Ottawa Elementary School in Petoskey needed to replace some portable storage cabinets. The Birchwood Construction Family had just the solution....a donation of 6 custom rolling storage carts hand built by one of our craftsman, Mark Adaline. From all the smiles, looks like Mark hit the mark! The mission of the Little Traverse Conservancy is to protect the natural diversity and beauty of Northern Michigan by preserving significant land and scenic areas, and fostering appreciation and understanding of the environment across Chippewa, Mackinac, Emmet, Cheboygan, and Charlevoix counties. The Birchwood Family does not take for granted the place in which we live and work. Our recent Open House benefitted the Little Traverse Conservancy and we were both grateful and proud to have the opportunity to present a check to support the Little Traverse Conservancy and their mission on behalf of the Birchwood Family. If you have not, check out the 107 miles of wonderful trails at the various preserves and consider financially supporting this tremendous organization. The IAI is a 501(c)(3) offering a comprehensive skilled trades program that prepares students for successful and rewarding careers in the industry. IAI programs provide students with the support, knowledge and hands-on application to become qualified and employable. 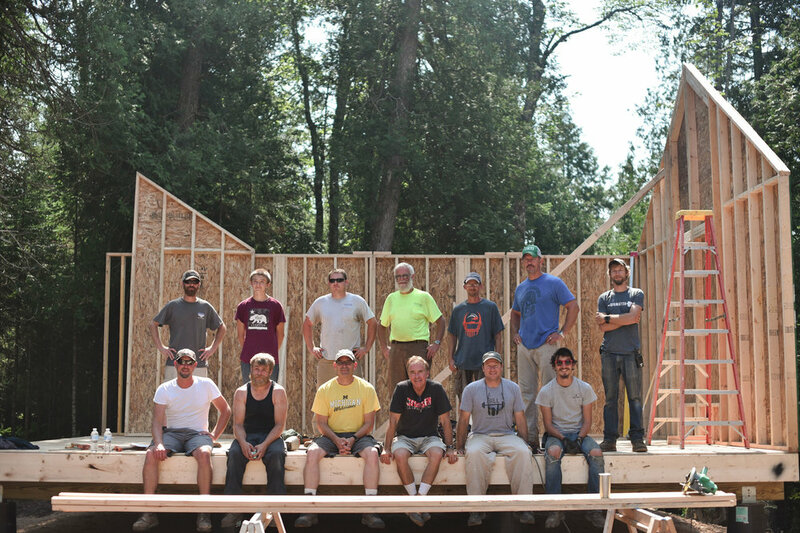 Ken Provost, one of the Birchwood partners, is a member of the Emmet County Community Corrections Advisory Board and led the effort to enhance the carpentry curriculum at IAI to align to the needs in the industry. The Birchwood family includes many graduates of the IAI who are applying their skills and building successful careers. Pictured is Ken Provost with several IAI students (now graduates!). The Birchwood family is an active supporter of the Petoskey Chamber of Commerce. Tom Adams has served as its Board Chair for the last 2 years. 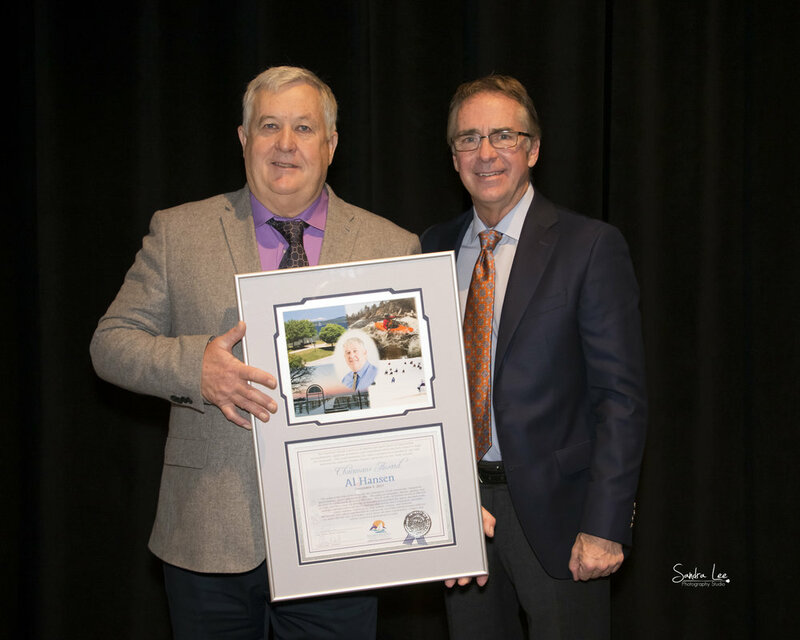 Tom's service was recognized at the Chamber's 2017 Breakfast of Champions where he also had the distinct honor of presenting retiring Petoskey Parks & Recreation Director Al Hansen (on the left) with the Chairman's Award for the significant impact he has had on the community for many years. Other members of the Birchwood family have volunteered to be part of the 2018 Petoskey Chamber Champion Program in support of the commitment to building a thriving community. As our country came together for Memorial Day to remember those who made the ultimate sacrifice for our freedom, CrossFit Charlevoix hosted the special “Murph” workout in memory of Navy Lieutenant Michael Murphy who was killed in Afghanistan June 28th, 2005. This workout was one of Mike's favorites and it is referred to as "Murph" in honor of the focused warrior and great American who wanted nothing more in life than to serve this great country and the beautiful people who make it what it is. 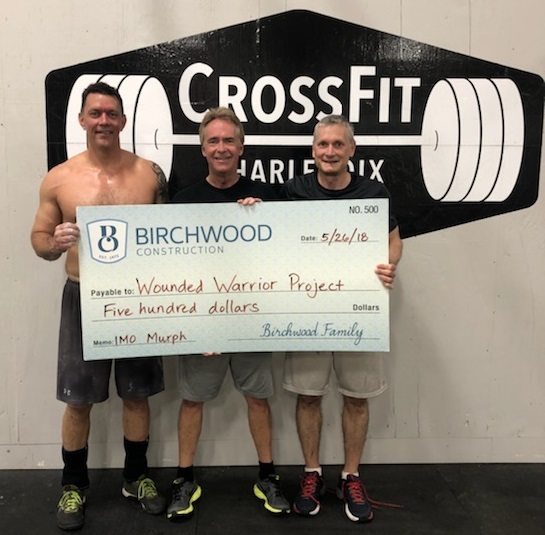 Several Birchwood Family members participated proudly in the event and also presented a check to the Wounded Warrior Project on behalf of the Birchwood Family. The event and the charity have special meaning to Kenny Provost, BCC partner and a former Marine. The Michigan Mission of Mercy event is put on every 2 years by the Michigan Dental Association and the Michigan Dental Association Foundation. The free 2-day event provides thousands of Michigan children and adults with much-needed dental treatment including cleanings, fillings and extractions—anyone in need of dental service. Birchwood family member Ryan Peters and his wife Allie volunteered at the event held in Grand Rapids and came back inspired with the truly life changing services provided to those in need.